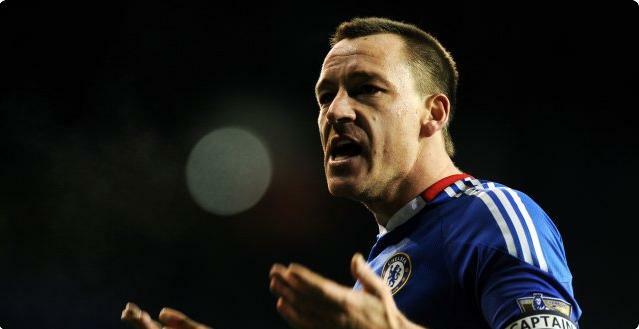 JT - We're still in it!. After beating Bolton 4-0 (check out my report and videos of each goal here) and after Carlo Ancelotti spoke after the game, John Terry is featured this morning in his interview with Sky after the game. Terry, re-iterated the desire and the belief in the Chelsea camp knowing that even though we are seven points behind (before United take on Blackpool in their game in hand on us) United, we still have them to play twice and Manchester City at home. If we win all three then we would be right back in it with everyone dropping points in the Premier League at the moment. In the past we've never given up, Man Utd are playing well at the moment, getting the right results and getting a little bit of luck as well, so maybe that will turn. We've still got to play them twice and if we can win both of those games we're right back in it." I have to say I still believe there is definitely work to do but we have taken two steps forward in getting our season right back on track!.